There is nothing worse than coming home from the hospital and having to worry about preparing homemade meals for your family. Sure, you can rely on family and friends to bring meals by, but at some point you’re going to have to start preparing meals again. 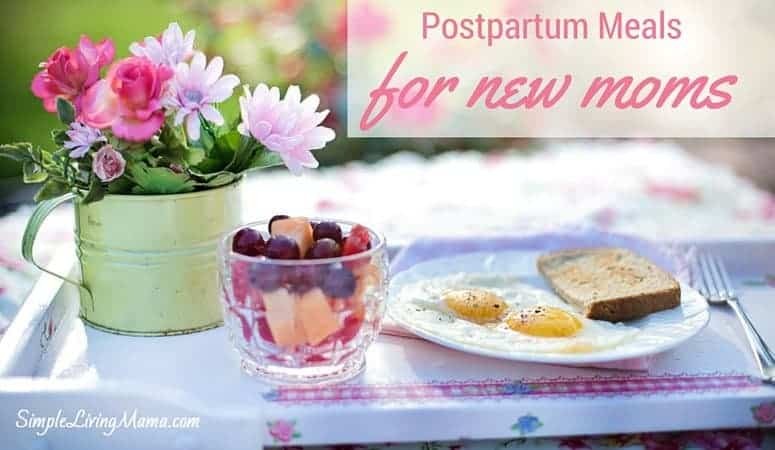 The first six weeks after the birth of a baby are a crazy blur and if you don’t have fast, simple meals on hand you might find yourself resorting to take-out more than you’d like. We all know take-out can be costly and is not the healthiest option. One of my best pregnancy tips is freezer cooking before your baby’s birth. 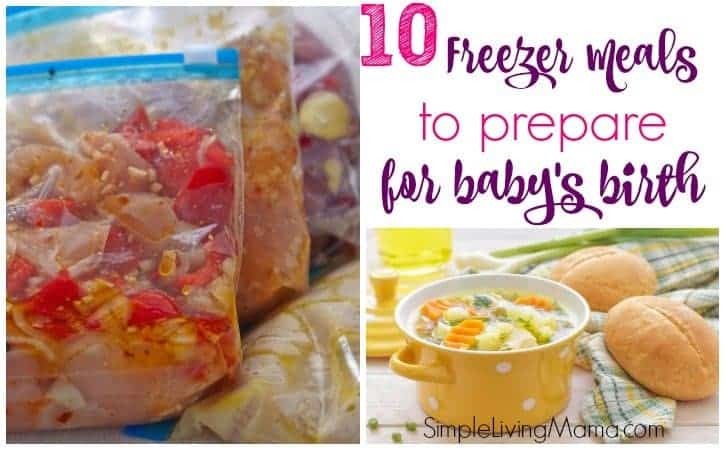 I have a list of freezer meals to prepare before baby’s birth for you! Why freezer cook before baby’s birth? Well, it’s pretty simple. Freezer cooking will allow you to stock-pile yummy meals for your family that require little to no prep work. Just pop it in the oven and dinner’s ready. The work can be pretty time consuming up-front, but it will save you a lot of time and money when you need a fast and easy meal. There are a few ways to go about freezer cooking. You can totally prepare meals that only require heating in the oven like casseroles and soups, you can prepare parts of meals that can be used in combination with other ingredients to create a meal like beans and rice, or you can put together ingredients that still need to be thoroughly cooked once thawed like marinated meats. For the purposes of freezer cooking for baby’s birth, I prefer to completely put together meals that just need to be heated up in the oven or on the stove top. A simple salad and some rolls make perfect side dishes for these meals! For this baby, I’m planning to put together at least 10 meals and some will make double batches that we can eat more than once. I will be using disposable aluminum pans and Ziploc freezer bags to store my food. 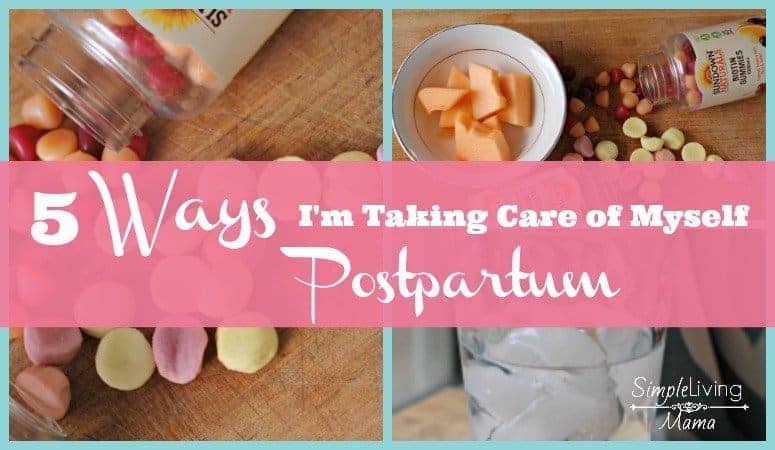 Now, I know that glass is a healthier and more eco-friendly option, but I’m wanting quick and easy and I don’t want to have to wash a lot of dishes when I’m in the middle of postpartum fog! Check out my essential freezer cooking supplies list! I may even whip up a few loaves of my homemade bread to store in the freezer. It would make the perfect accompaniment to the soups and chili. If I were having my first baby, I would probably plan to do all of my freezer cooking in one day. Most likely, I will have to divide it up over a few days unless I can get someone to help me knock it out at once. I’m mostly preparing just dinners for the freezer. Well, except for the breakfast burritos and lunch tacos. I’m planning to take things pretty easy for breakfast and lunch by just eating cereal and sandwiches. Freezer Cooking 101 – So, I first learned about freezer cooking from Money Saving Mom. Lots of great info and ideas here. 35 Freezer Safe Recipes – Some of my recipes have come from this site, and there’s also some great information about how to store your freezer meals. I will most likely do my freezer cooking in late September/early October, so stay tuned and I’ll be sure to update with pictures of my adventures in freezer cooking for my baby’s birth! Do you prepare freezer meals before the births of your children? What are some of your favorite freezer meal recipes? I’d love to know and maybe get some more ideas for my freezer cooking session! Love this Joanie!!! I definitly want to do a buch of freezer cooking before our babies come in December! That way, hubby can get dinner ready at night 😉 thanks for sharing my series!! No problem, Jami. Your series is awesome! You will definitely need your hubby getting your meals ready for you when those two beautiful babies come! This is a wonderful idea Joanie!! I did this for my children. I made a birthday cake too for a couple of my births to make it fun for my children. Thanks for stopping by and taking the time to comment, Judith! This is great! I pinned this post to use in just a few months when I’m getting ready to have my baby:) Following you from WLWW link up! Thank you so much, Faith! I freezer cook too for after the baby. I need to start making my list for what I want to make this time around. Nice to get some fresh ideas!! 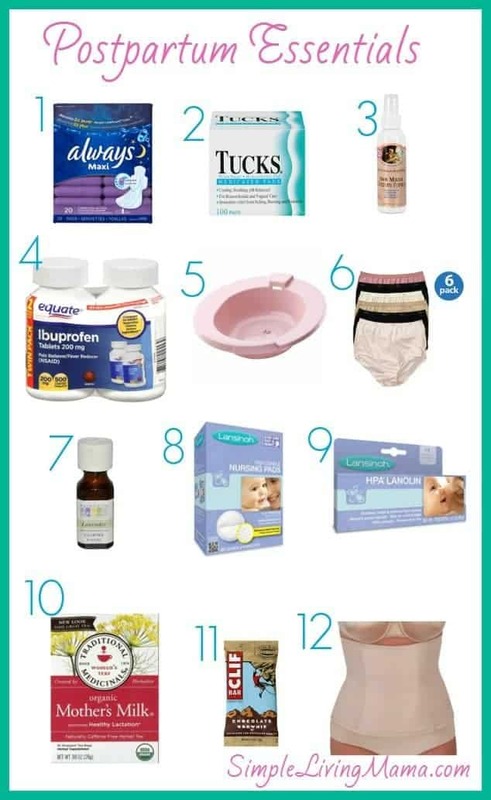 It’s wonderful to have something easy on hand after baby’s birth!